Tickets: Free | Free for Jobsite Rock Stars and Season Ticket holders. 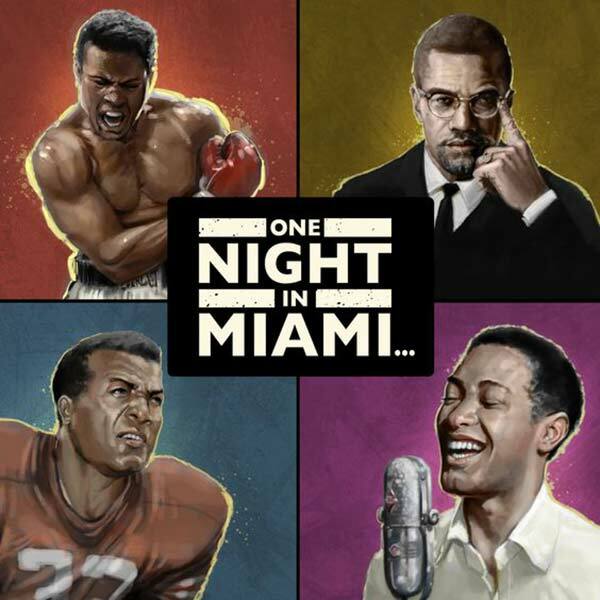 One Night in Miami is the debut work of Kemp Powers and premiered in 2013. It is a fictional account of the real events of February 25, 1964. It highlights a pivotal moment in the lives of four African American icons. A 22 year old Cassius Clay, the newly crowned world boxing champion, as he transforms into Muhammad Ali. Clay is joined by Nation of Islam leader Malcolm X, singer-songwriter and producer Sam Cooke and football superstar Jim Brown. The men, friends in real life, celebrate Clay’s surprise title win over Sonny Liston in a Miami hotel room, watched over by the Nation of Islam security.